Small - $39.99 Medium - $39.99 Large - $39.99 Only 3 left! I absolutely loved this catsuit and thought it was a great price for a really nice fit. I was a bit scared to purchase a catsuit online because I'm pretty tiny and wasn't sure that it would fit me very well, but this catsuit ended up fitting me perfectly like a glove. I wore this catsuit with the Radioactive Aviator Black Goggles, Femme Fatale Feline Hood, a long black whip, a black belt for accessory, long black gloves and my shiny black heels because I couldn't find any boots. 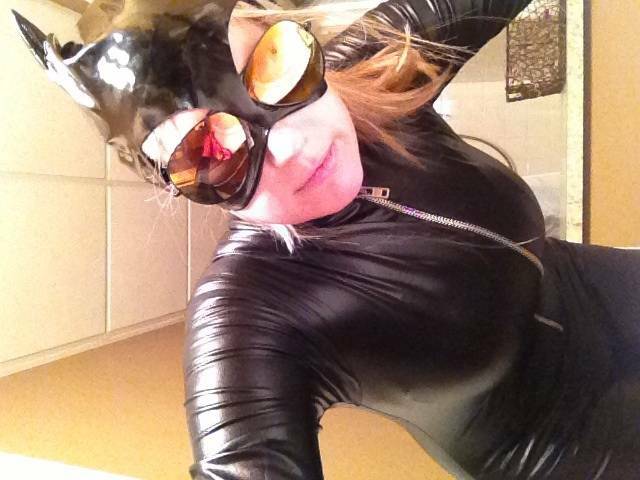 I would definitely recommend this catsuit and it made my 2014 Halloween a great one ! Ordered this Saturday, the 6th. They said delivery by the 22nd. I received it on the 11th. The costume fits like a glove..